Music is my most constant companion in life. It is with me every day. The music I listen to has to match my mood like shoes match a belt. If I’m feeling down, I don’t use music to cheer me up. In fact, it’s usually just the opposite. If I put on happy music when I’m feeling blue, it will taint the happiness it normally provides with sadness, thereby ruining it for when I am actually happy in exactly the same way that I don’t eat popsicles unless I’m sick. When I’m down, I need music that meshes with my own personal blues. Music is completely subjective. What is happy music for some, might not be for others. We all have triggers in our brains that attach to certain music as well. Even if it’s the happiest song on Earth, it might make you sad because it transports you to a different time and place where you experienced sorrow. For me, there are differing kinds of feeling down, too. There’s music for a rainy day, there’s music for a really bad breakup, music for just the premenstrual female blues and music for real, emotional loss. Each of these serves a distinct purpose and can only be listened to when that need is present. Music, in and of itself, is really an interesting thing to ponder. Why do we like the music we do? Why do we want to hear a specific album at a certain time? Why is it that, sometimes, you put something on and think, this isn’t what I want to hear at all? Music serves no real function from a hunter-gatherer, anthropological perspective. It is not necessary to our daily lives like, for instance, a rock or fire. There’s no imperative need for it, yet it has been part of human history from the dawn of time when we still had unibrows and grunted a lot. It must be in our genetic makeup as a social type of activity, however, for me, listening to music is much more of a solitary experience. The music that I listen to when I’m down really depends on what kind of down we’re dealing with. 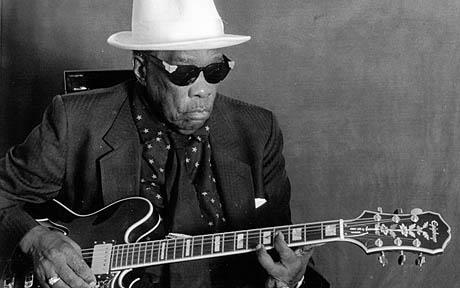 For just the generic blues, logically, I listen to the blues – Howling Wolf, John Lee, RL, Muddy and BB. For a rainy day, nobody beats Tom Waits. For a really bad breakup, Elvis Costello or Johnny Cash. For just waking up and trying to get my brain in working order or when I’m just feeling numb, I listen to a genre called post-rock, another called classical or Pink Floyd. For the wretched disorder we females suffer through once a month, I go to the women who understand: Nina Simone, Billy Holiday, Etta James or Aretha Franklin. For really heavy disasters, it’s the mother of sadness, Edith Piaf, all the way. These are my friends, my constant companions, more loyal than any real friends and always ready to slog through the tough times with me without fail. They might not cheer me up, but they always understand.